Storage Space can make sure your move to Yorkshire is as ideal as you hoped it would be. The prime reason so many moves go terribly is mainly down to lack of time and lack of dedication. In order to achieve a smooth and easy move you must make sure you have plenty of time on your hands and lots of dedication. You need to be completely determined with your move to Yorkshire. There is no point in trying to fit in time every now and then. You need full days to devote to your move. This is why so many turn to professional removal companies – they don’t have enough time. If you are like most people and your days are consumed with work, looking after a family and carrying out various domestic chores, it’s time you reached out for some help. We can help you – and at an affordable price that definitely will not cost you the earth. Moving tends to be costly and this adds even more pressure on to your move. We can safely say that all our removal services are cost-effective. On the subject of removal services, let us introduce you to our range of services: domestic removals, office removals, storage services, and packing services. If you fancy some help in these departments, please do not hesitate to contact us today on 020 8746 4354. There is too much for you to gain so book a date today. You’ll get a free quote if you do. Yorkshire is a beautiful area of England full of culture and history. There are four divisions of Yorkshire which are as follows: North Yorkshire, East Yorkshire, South Yorkshire, and West Yorkshire. There are many cities in these divisions of Yorkshire that many are probably familiar with. These cities include York, Bradford, Leeds, Sheffield, Wakefield and Kingston upon Hull. As for places to see, Yorkshire boasts many interesting sights such as Bronte County which is a stunning area home to the Bronte family, Harrogate, and there is also lots of beautiful coastline for you to admire and enjoy. There are endless beaches, villages and cliffs for you to explore. Additionally, there are three great national parks which are the Yorkshire Moors, part of the Peak district and the Yorkshire Dales. All of these national parks are beautiful. These national parks attract endless visitors and tourists because of their beauty and history. Places to see in Yorkshire include Whitby, Robin Hood’s Bay, Sutton Bank, Eden Camp, Fountains Abbey, the Humber Bridge, the Yorkshire three peaks, and many more. There are endless sights in this part of England for you to admire and enjoy. It’s no wonder why endless people travel miles to visit Yorkshire. It offers so much to tourists. If you are moving to Yorkshire and you are desperate to find a removals company you can trust and rely on, choose Storage Space. We are the best around in terms of our services, staff and prices. What makes us stand out from the crowd is that, in addition to offering great services at great prices, we are very flexible. There are few limits at our removals company. So if you need to move within a day, we can guarantee that this would be possible. This also applies to our storage services. 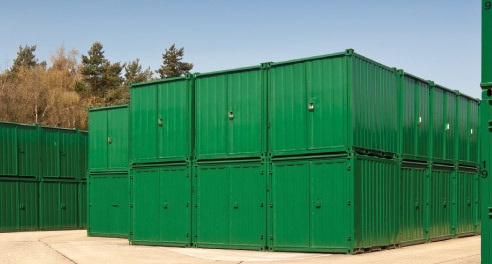 If you need a storage unit for a day or a year, it does not matter because we are completely flexible with our services. Like the sound of it all? For the best transport services, storage services and packing services, all us today on 020 8746 4354 and book your date today for your move to Yorkshire.